JOIN US FOR A CULTURAL TOUR TO THE OTHERWORLDLY LANDSCAPE OF ICELAND. Experience the vast volcanic landscape, breathtaking glaciers, and hardy Viking hospitality that have been celebrated for centuries in Icelandic sagas during this cultural photo tour to Iceland. On this unique expedition, you’ll view towering volcanic pillars, witness stunning waterfalls, and languish in ancient geyser springs. From the capital city of Reykjavik to the remote farms and diverse southern coast, Iceland has some of the most picturesque landscapes anywhere to be captured. At every turn, the vistas will astound you. At this time of year the sun sets just below the horizon around midnight offering almost 24 hours of golden light. Ralph has planned our unique tour with this in mind, so often you’ll photograph iconic waterfalls and landscapes at off hours, before or after the typical tourists have departed. We’ll also have an opportunity to bathe outdoors in the warm and otherworldly Blue Lagoon. The unique interplay of light, shadows, and intense colors make every photographer’s heart jump! Mother nature has painted a magnificent tapestry of colors with geological phenomena unmatched elsewhere in the world. Inexorably intertwined with this exotic natural environment are the 300,000+ Icelanders who along with their Nordic and Celtic ancestors have called this North Atlantic Island their home for over 1,100 years. Join Ralph on this adventure to one of our planet’s most fascinating and unique environments. This trip is yet to be rescheduled. Nine days with accomplished photographer and tour leader Ralph Velasco. Specially designed itinerary where we’ll plan to get to the iconic sites before or after the tourists have departed. Tour limited to just 12 participants. Experience the diverse landscape of Iceland with fellow travelers, on a boat to see the puffins, as well as a private zodiac in an iceberg lagoon. Meet and enjoy the people of Iceland on a traditional horse farm setting, and in the evening light of Reykjavik City. Iceberg Lagoons of Jökulsárlón and Fjallsarlon. Waterfalls of Skaftafell National Park , Gulfoss, Skogar, and Seljalandsfoss. Included visit to the famous Blue Lagoon. • Group transportation for tour events in the tour van. • Accommodations based on two people sharing a room. • Services of an expert driver/guide during the tour. • Includes all Breakfasts, Lunches (picnic) and Dinners as outlined in itinerary. • Extensive pre-departure information and services, as well as entry fees for all group activities, including the Blue Lagoon. International air fare; air fare tax; airport transfers; additional transfers or accommodations that may be required by those not traveling with the group; meals not listed as included; activities listed as optional, or those taken on your own; passport expenses; personal medical or travel insurance; any expenses of a personal nature or those not listed in what is included; tips to guides and service staff. 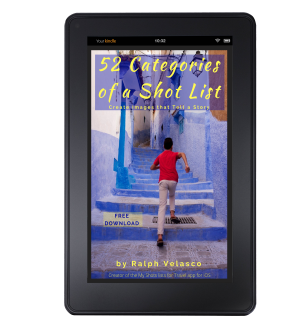 Ralph Velasco is a U.S.-based travel photography instructor, author and international guide who has led tours to Egypt, Morocco, the Adriatic, Central Europe, Bhutan, Nepal, Vietnam, Cambodia, Spain, Romania, Mexico’s Copper Canyon, and many other locations. He’s also organized and participated in over a dozen Humanitarian and People-to-People programs in Cuba. 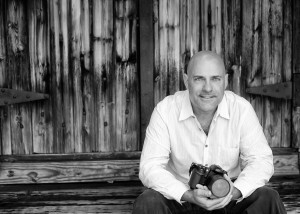 Ralph is an award-winning travel photography blogger and President and CEO (Chief Experience Officer) of PhotoEnrichment Adventures. He’s also the creator of the My Shot Lists for Travel app for iPhone, an organizational and tracking tool designed to help travelers of all photography skill levels to bring home a more well-rounded set of images of any destination or subject (available free on iTunes).